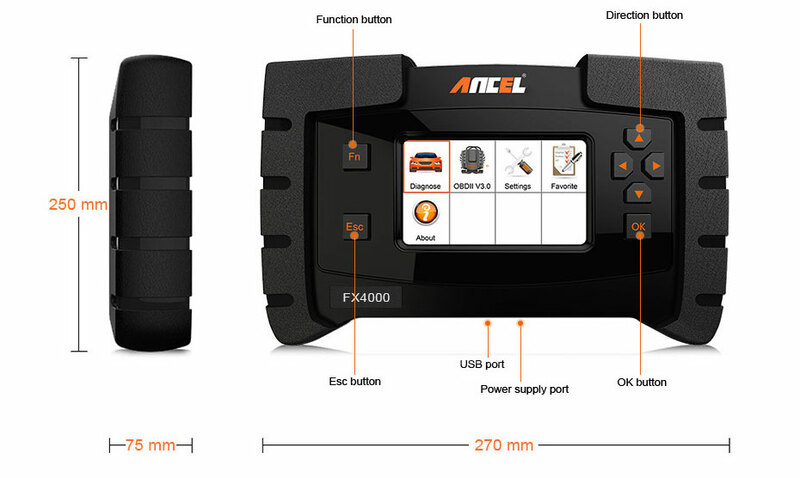 Q1：What Language Ancel FX4000 can support? 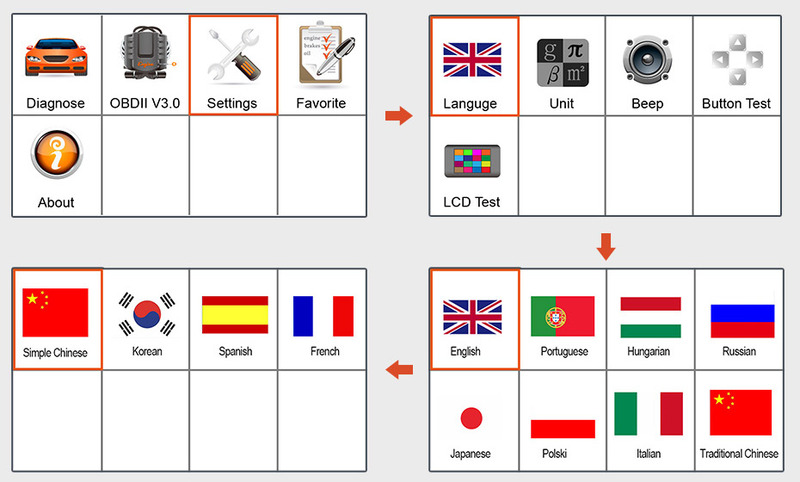 A1 : It can support English, Russian, Spanish, Portuguese, Polish, Dutch, French, German, Korean, Italian, Thai. 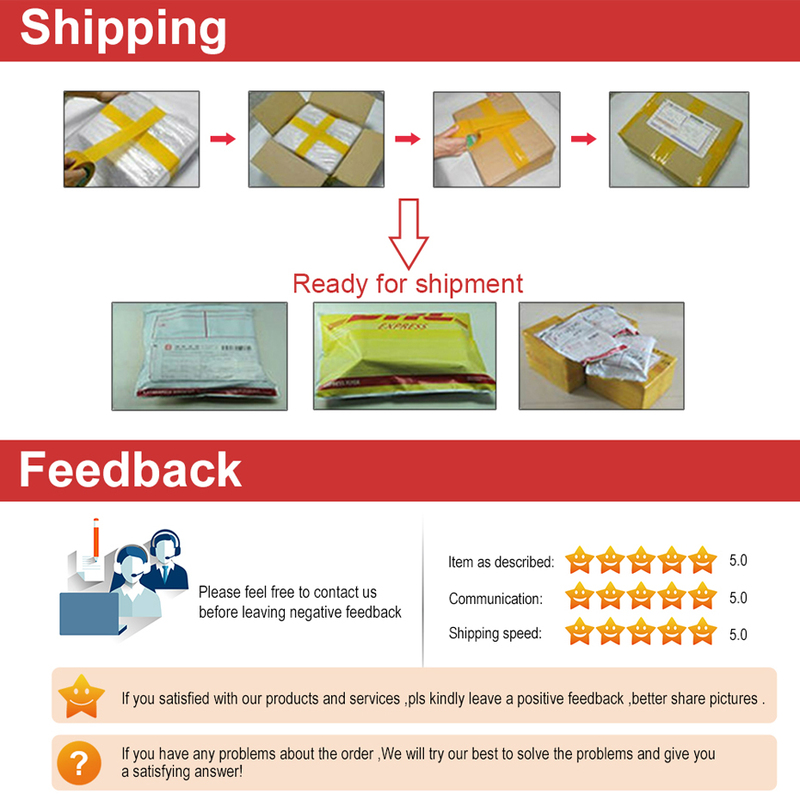 You can choose English+the other language , When you make order, please leave us message . 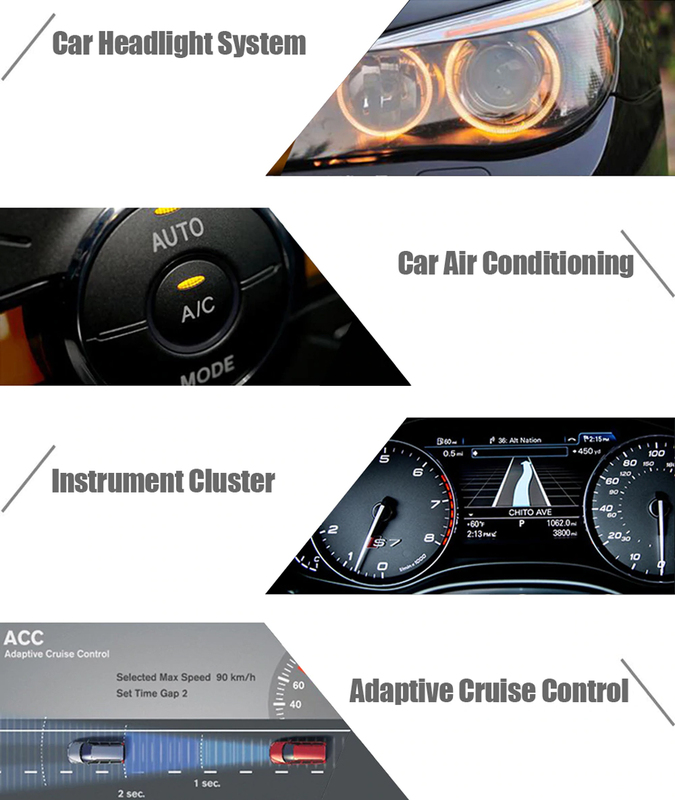 Q2：Which cars it can support? 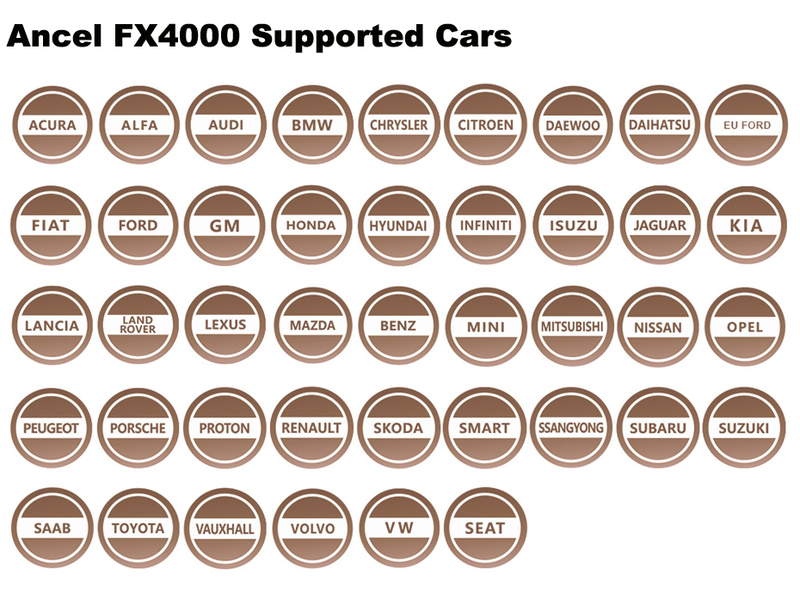 A2 : It cover more than 40 brands vehicle, including American since 1996 cars, Asian since 2003 and European since 2001. Q3：Why should I choose Ancel FX4000? 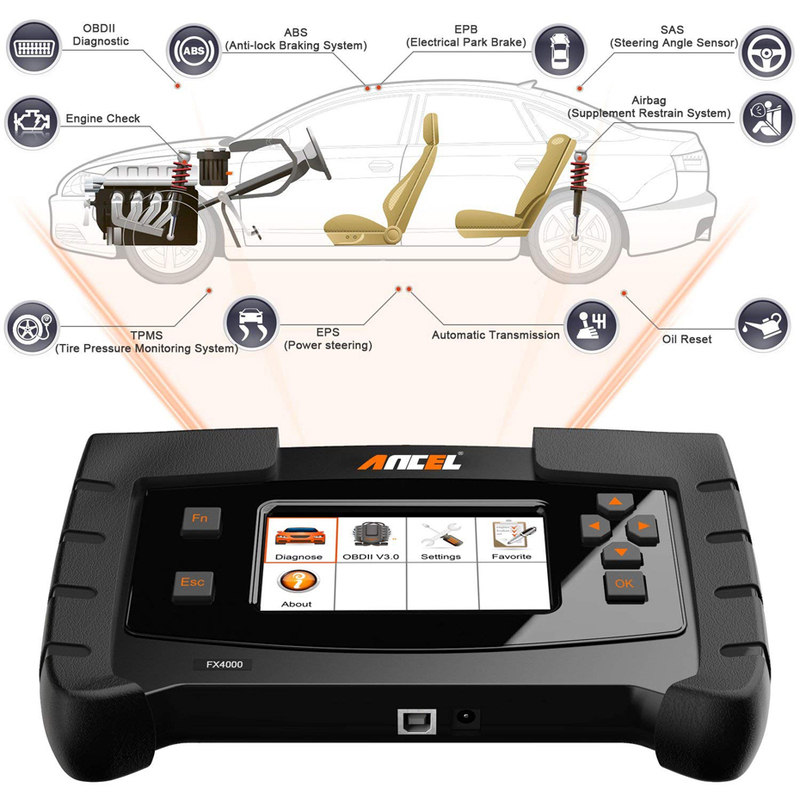 Q4：How to Update this car diagnostic tool? 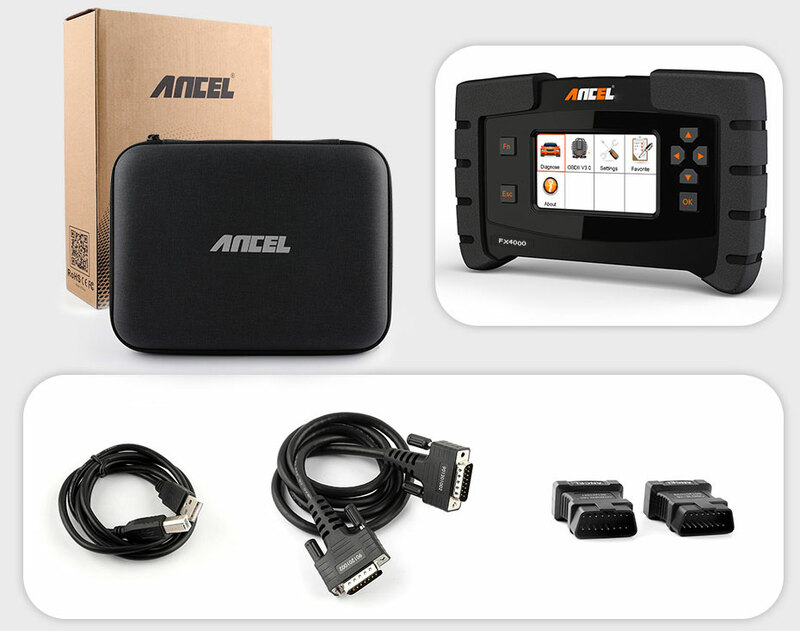 A4 :1) All original Ancel products support free update forever. 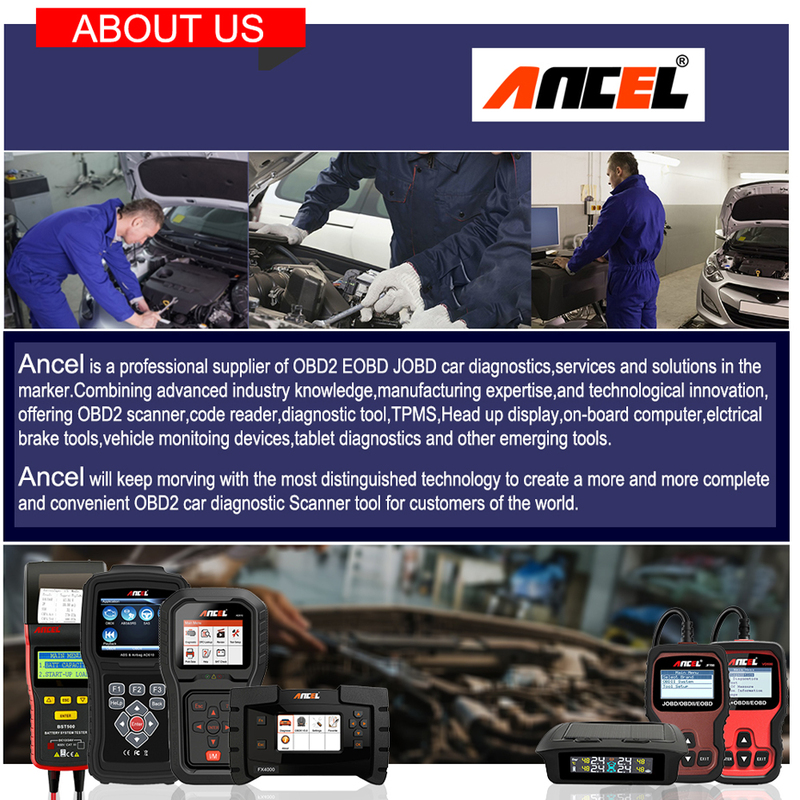 2) You can download the updating program at the Ancel webstie. Please Tell Us Which Language(English+Another Language)You Need When Purchase,Then We Will Open The Language Permissions For you Before Shipment.Thanks! 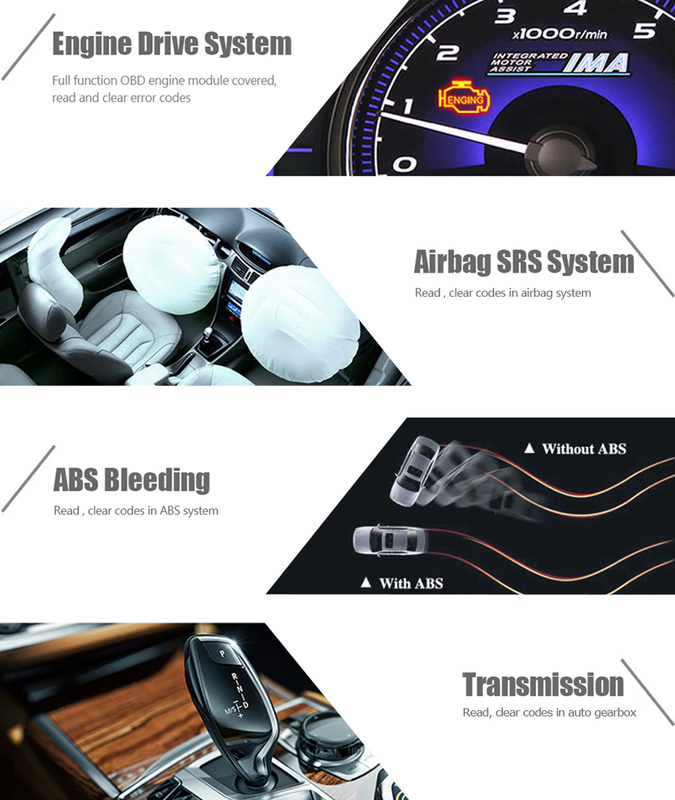 for AU Ford , for Acura, for Honda,for Holden, for Hyundai, for Isuzu, for Infiniti, for Kia, for Lexus, for Mazda, for Mitsubishi,for Nissan, for Perodua, for Proton, for Subaru, for Toyota. 3. Please Leave us message in below format, for example : VW Golf7 2015, 2.0cc, Diesel, ABS function,we will reply you within 8 hours. QA:How to do if the screen displaying an Incomplete parameter (MCUID)? 1. Have you connected the auto scanner to PC with the USB cable? 2. Have you installed the anti-virus software Norton or similar software? Such Noton Antivirus might delete the update software during the update process, in this case we strongly recommend you to close the Norton software before the update is finished. 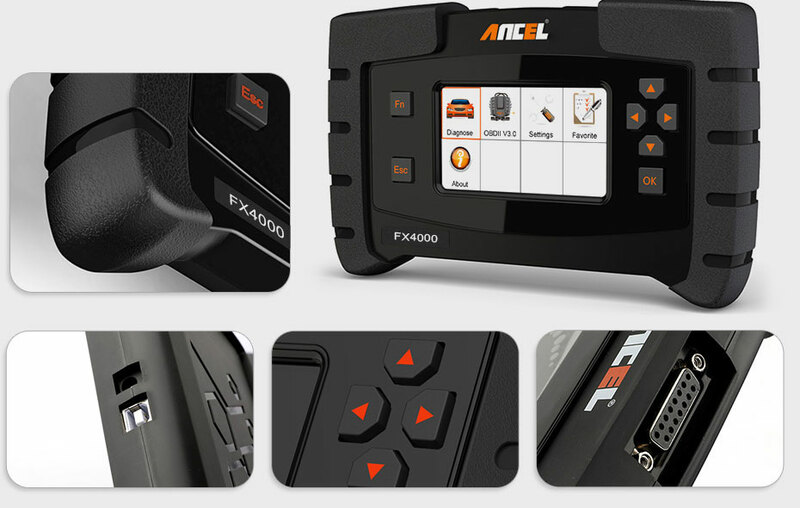 1.FX4000 is a code reader for full systems, cannot do advanced functions such as reset and programming. Just can do oil light reset on some car models, not all. 2.USB cable is only used for the update.You can find the serial number on the unit back or the main interface "About" you need to plug it into your car, so you can read the serial number. 3.Not all vehicles support reading of ALL data. Readings supported depend on what\'s installed on the OBDII system by the manufacturer. 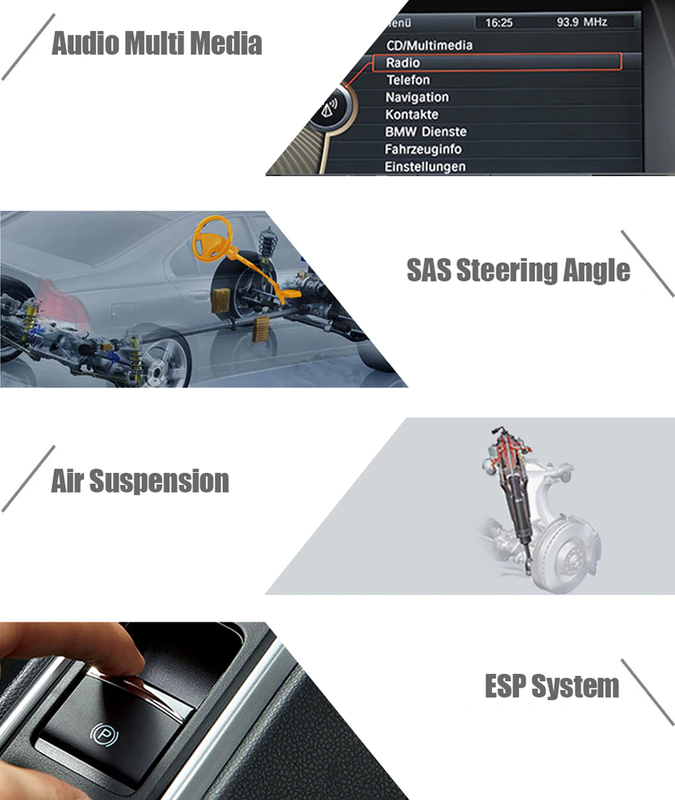 5.Specific car model support list and function: you can refer to the attached documents on the technical specification. OR send a message to us. 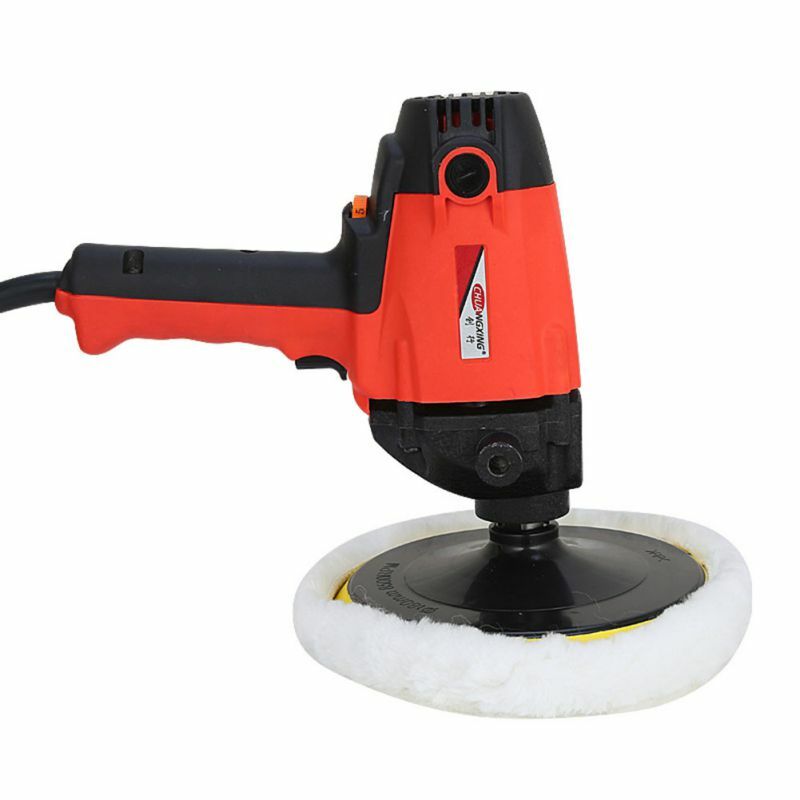 If there is any questions while using our product,please kindly let us know first,we will try our best to solve it for you.Thanks!